Online marketplace notonthehighstreet.com has come to Edinburgh to launch the second year of its Colour Saturday celebrations, honouring the contribution of small creative businesses to customers’ lives. Noting that out of its 5,000 sellers, 211 are located in Scotland and 55 in Edinburgh, the site’s chief executive Simon Belsham told The Scotsman: “We’re really pleased to be back again this year. “It’s really important for us to be able to shine a light at this time of year on the amazing creative businesses and everything they do for the local economies and for the local area." The event has grown this year to be more immersive and includes its first interactive Colour Truck, which has arrived in the centre of the Scottish capital before setting off to London, Liverpool and Manchester. Belsham explains that the vehicle opens out, enabling visitors to meet several sellers, hear their stories and buy their products. These include Sandra Colamartino of Quirky Gift Library, famous for its chocolate Brussels sprouts, Emma Tulloch of stationery and Christmas bauble company Twenty-Seven and Sarah Holtom of Minetta Jewellery. Notonthehighstreet added that since its launch in 2006, its partners have contributed more than £600 million to the UK economy. 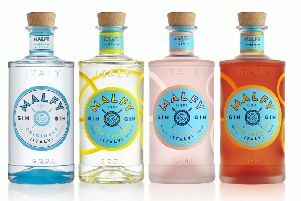 These include Edinburgh-based cocktails and spirits delivery service Tipple Box, which recently secured a six-figure investment. Belsham added that the site is "still seeing significant growth and I'm really excited about where the business has been able to grow," adding that consumers are looking for greater value and meaning from products.